An extra-gentle shampoo, this formula clarifies without stripping , removing colour-dulling residue and build-up caused by chlorine, hard water minerals and styling products with witch hazel, baking soda and tea tree oil. By gently removing impurities – and conditioning with chamomile, rosemary and aloe – this clever cleanser enhances vibrancy and shine as it detoxifies. The signature aromatherapy blend of tea tree oil, witch hazel, rosemary and peppermint make this a refreshing, luxurious treat for scalp and senses. Ideal for thoroughly clarifying colour-treated hair – without stripping a speck of your hard-earned colour – this detoxifying treatment shampoo is an extra-gentle way to cleanse scalp and strands. Enriched with witch hazel, baking soda and tea tree oil, the formula removes colour-dulling residue and build-up caused by chlorine, hard water minerals and styling products. 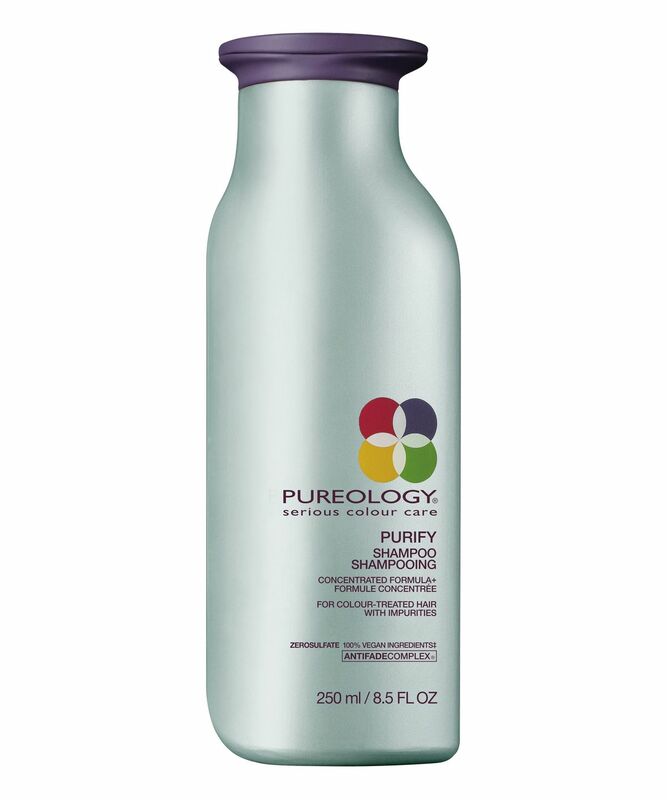 By gently removing these impurities – while also conditioning with chamomile, aloe and rosemary – this shampoo not only refreshes your hair, it enhances vibrancy and shine, aided by Pureology’s own AntiFade Complex. Scented with the fresh, uplifting scent of tea tree oil, witch hazel, rosemary and peppermint, this is a joy to use. I’ve used both the hydrate and strength cure ranges and have absolutely loved them so decided to give this a go for something more deeply cleansing. It works brilliantly for that, it’s really clarifying. I use this once a week and that does the trick for me, however, it’s not something I would recommend to use more than that as I can imagine it to be drying but other than that it’s great for a deep clean but one that also maintains the colour of hair. I decided to try a Pureology shampoo based on the great reviews I've seen and chose the Purify one as I have oily scalp and colour treated hair. I'm not sure if this shampoo is too drying, but after a wash, it makes your hair feel like a bunch of tangled straw or barbed wire, only remedied by tonnes of conditioner. My hair is usually quite tangle free and smooth, so it really freaked me out. I decided to try another wash but it was the same effect. Will never use this shampoo again. I do agree with the previous review that it is a little drying.. and it is. However, with a good conditioner, it’s not so much of an issue for me. It keeps my hair colour (others made my colour warmer) and I try and use only as much as I need, once a week. I like it enough to repurchase. Would switch if I can find something less drying.